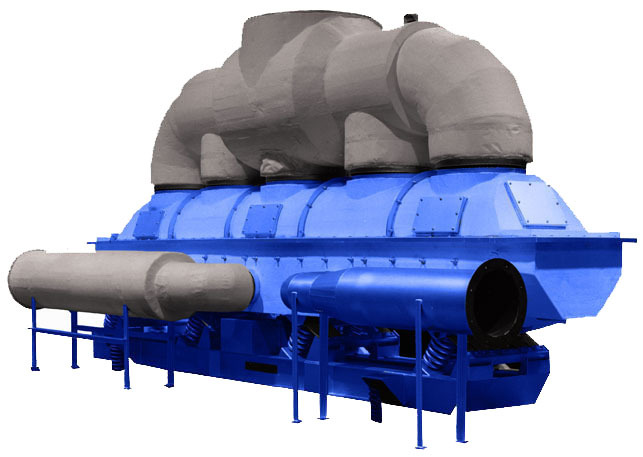 Vibratory machines are inherently advantageous for heat transfer applications. Adapting the patented Kinergy Drive System to Vibrating Fluidized Beds has made them even more favorable. Whether heating, drying, cooling, or agglomerating, Kinergy’s Vibrating Fluidized Beds are the stand alone choice. 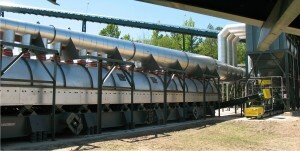 It is the only Fluidized Bed that can be electrically “pulsed” and is second only to a Vacuum Dryer. 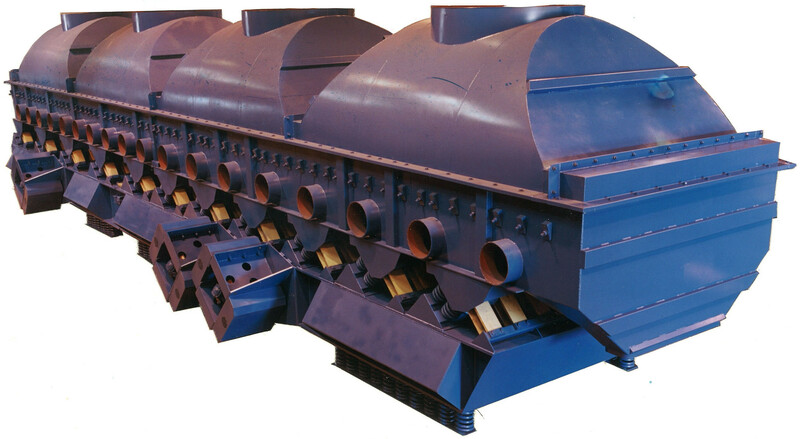 Coupling the appropriate auxiliary equipment with Vibrating Fluidized Beds, bulk solids or unit pieces can be heated or cooled. Hot or cool air is forced up through a bed of material to accomplish the heat transferring function. 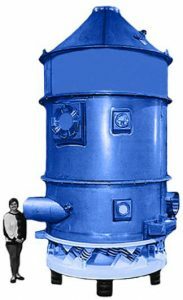 The vibratory action allows bulk solids to more easily fluidize for increased process efficiency. With no width or length restrictions plus the ability to automatically pulse the vibratory action for better control of the retention time and the adjustable output makes Kinergy’s Fluidized Beds simply the best. To create a more efficient Material Handling System, Kinergy Vibrating Fluidized Beds can be combined with other Kinergy Vibratory equipment to accelerate the drying or cooling function. For example, employing a Kinergy Vibrating Dewatering Screen to remove excess liquid from moisture laden material. The introductory process of screening excess liquid from this material will result in a lower cost of drying. Along with the simple design and competitive pricing, Kinergy Driven Vibrating Fluidized Bed Dryers and Coolers have the most operating versatility and highest degree of energy efficiency that continues to make them the preferred design in Vibrating Fluidized Beds. To recover fuel gases from shredded wastes, the Kinergy Driven Vibrating Fluidized Bed Dryer is often utilized in the process. This one is 1981 mm (78″) wide x 22 m (70 ft.) long. It has four motors, rated 1.5 HP (1.11 kW) each for a total of 6 HP (4.4 kW), appropriately spaced along both sides of the counterbalance. It dries wood chips from 50 to 25% moisture at a rate of 15 TPH to help make the so-called syngas kind of fuel. • Durability: Kinergy Vibrating Fluidized Bed Dryers and Coolers are built to last with an average of 20 or more years of productive use. • Proven Design: The simple design and highest performance rating make Kinergy Vibrating Fluidized Beds the best choice for cooling, heating, and drying applications. • Energy Efficiency: All the Fluidized Beds utilize the Kinergy Drive System, which is the most versatile and energy efficient drive available. This drive is a combination of a free force input from an A.C. type electric motor with the output of sub-resonant tuned springs. When the applied load increases, the springs inherently drive harder. It maximizes the use of “Kinergy” which is defined as the kinetic energy developed by a spring’s motion during the drive portion of its cycle. • Larger Dimensions: Kinergy Vibrating Fluidized Bed Dryers and Coolers can be supplied in larger dimensions. Since the input dynamic forces are distributed, the diameter or length and width dimensions are not restricted as they would be if they were concentrated at one point. For this reason, Kinergy Driven Vibrating Fluidized Beds are standardized in widths to 12 ft. and lengths or diameters as required. • Adjustable Retention Time: The operating stroke and frequency of Kinergy Vibrating Fluidized Beds can be varied with a simple VFD (Adjustable Frequency) kind of electrical control to obtain the needed retention time. • Low Maintenance: Kinergy’s units have the added benefit of extremely low maintenance costs. Each Kinergy part is purposely designed for vibratory use, which means they will have a long service life. Since all components have been designed, developed, and tested over thousands of successful installations, maintenance is virtually non-existent. • Few Components to Stock: With three component parts, Kinergy Induced Conveying machines require few parts to stock. These are the vibratory motor, steel coil drive springs, and fiberglass flatbar stabilizers. • Interchangeable Components: Most of the component parts of Kinergy Vibrating Fluidized Beds are interchangeable with other Kinergy Driven units even though their functions may differ. These common components extend to Kinergy’s Vibrating Feeders, Conveyors, Screens, Spiral Elevators, and various types of Foundry units. This reduces the number of spare parts required. 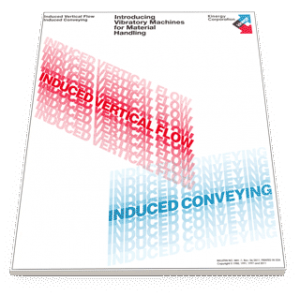 The patented Kinergy Drive System has proven to be the most versatile and energy efficient vibratory drive known when applied to Induced Conveying machines. Thus, Kinergy designs have elevated the productivity of Vibrating Fluidized Bed Dryers and Coolers. To learn more about these innovative machines, please contact Kinergy at 502.366.5685 or download Kinergy’s descriptive Bulletin KDVFB-1 entitled “Transferring Heat with a Vibrating Fluidized Bed”.